On September 10th, the UCU Center for Leadership invites to the lecture of the ex-head of the public procurement department of the Ministry of Economic Development and Trade of Ukraine Olexandr Starodubtsev, which will include a presentation of the project “Ukraine: the waz of Reform” with the participation of the UCU Center for Leadership executive director Andriy Rozhdestvenskyy. 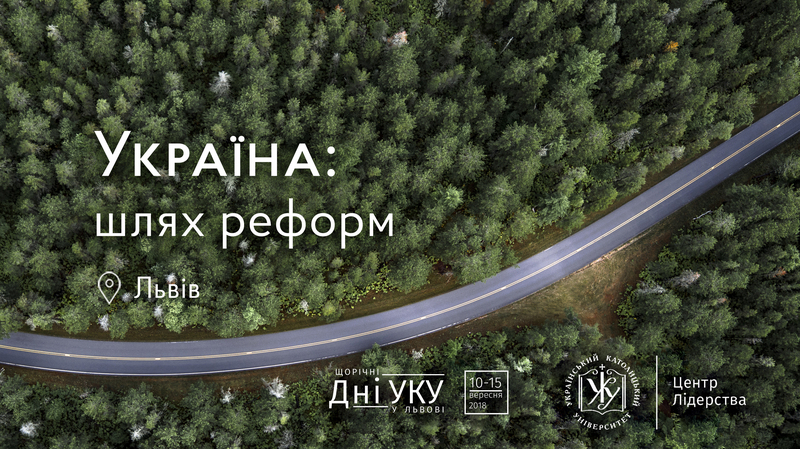 The lecture will be held as part of the annual UCU Days in Lviv. political order in the country or why “everything is not so simple” in Ukraine? bureaucracy: why is it important and what does an effective bureaucracy look like? leadership role in implementing reforms and lessons from developed countries. Oleksandr Starodubtsev is a former head of the Department of Public Procurement of the Ministry of Economic Development and Trade of Ukraine. Member of the Ukrainian Emerging Leaders Program at Stanford University (USA). Andriy Rozhdestvensky is the director of the Center for Leadership of UCU and a professor at Lviv Business School (LvBS), a business consultant. Reference: “Ukraine: The Way of Reforms” is a project within which a group of experts develops training cases based on examples of transformations that have taken place in Ukraine in recent years that will be collected in the “Reforms Book”. Changes are observed in almost all areas – the public sector, business and public administration. The process of reforming certain areas is so innovative for Ukraine, which requires separate study and analysis. Understanding the strategy of change and having successful examples, society becomes more active in the reform processes. The “Reforms Book” will be a collection of 12 case studies. Contact parson: Yaryna Stepanyuk, ystepanyuk@lvbs.com.ua, 093 99 555 32.